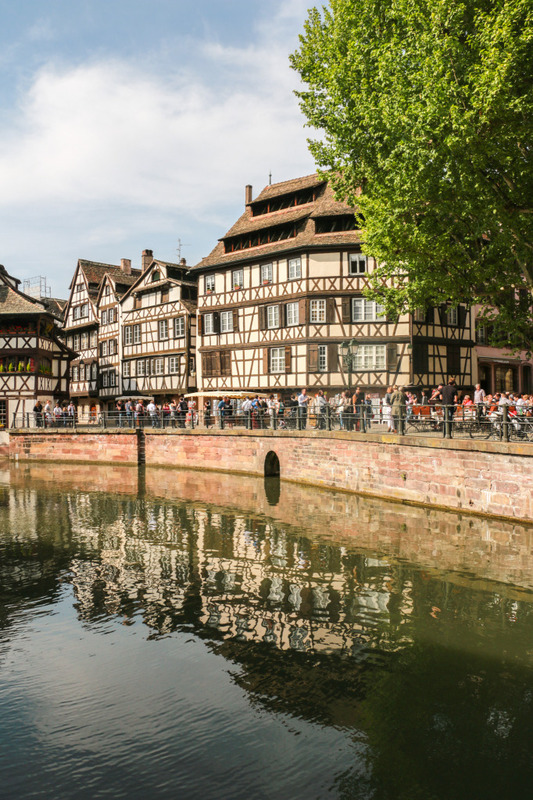 We started our Alsatian trip by visiting Strasbourg, the capital and biggest city of this French region. 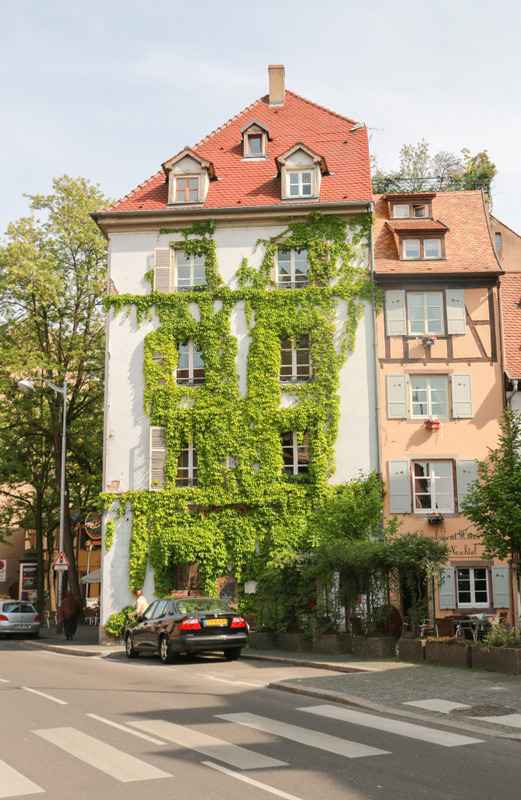 This is a very interesting part of the country, with picturesque villages, great traditional food and they even speak their own local language – Alsatian. Don’t worry, they also speak French. 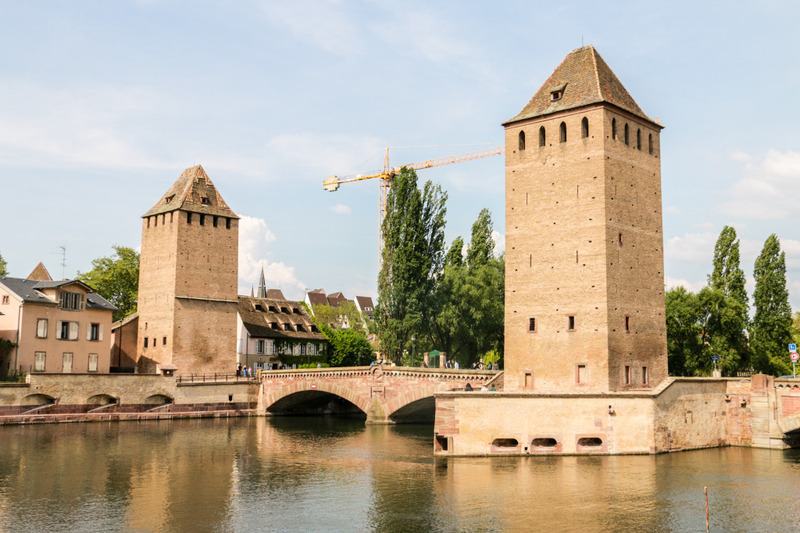 Strasbourg is not very far from the German border, on the west bank of the Rhine river, and shares close ties and historical influences with the neighbour country. For sure the biggest attraction for a tourist is the area where the historical centre is. 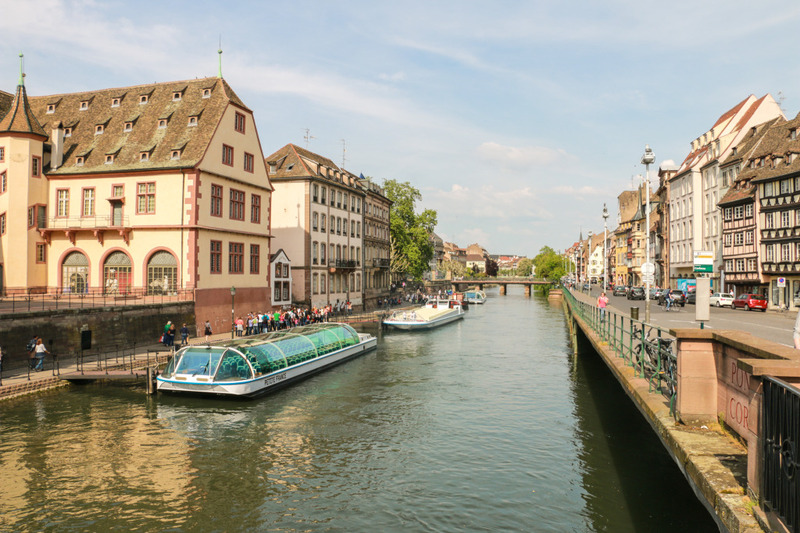 This is called Grande Île, literally translated to big island and being effectively an island of the river Ill.
We spent a very interesting day visiting Strasbourg, focusing on its historical centre, where the main tourist attractions and sights are. Read more about this below. Our hotel was a bit outside the town, where we parked. So, we started off by buying a daily tram ticket and hopping on one to get to the city center. Once on the premises of the island, we got out and went towards the riverside. Here is where the Ponts Couverts (covered bridges) and Barrage Vauban (Vauban dam) are. Two famous attractions. 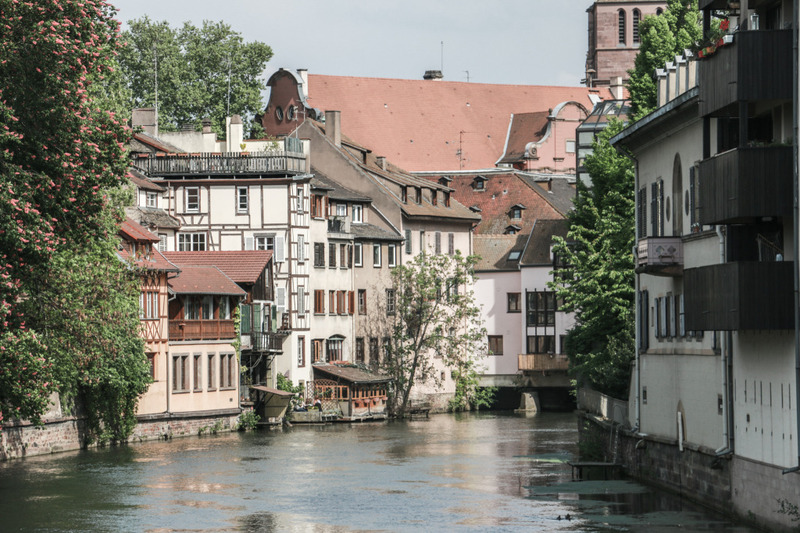 Going more inland on the island is a small but very picturesque part of Strasbourg, an area called Petite France (small France). Colorful medieval half-timbered houses are an example of typical Alsatian buildings that can be found throughout the region. Houses like this are what makes this area so interesting, in our opinion. This area, despite being relatively small, was crowded with tourists and with plenty of outdoor cafés and restaurants. 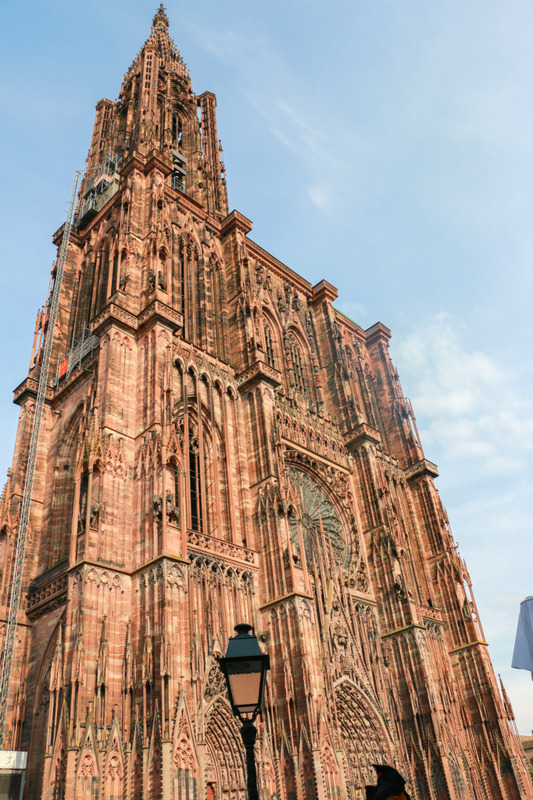 After roaming around the historical center streets, we eventually found ourselves at the biggest monument in Strasbourg – The Cathedral of Our Lady (Cathédrale Notre-Dame, in French). 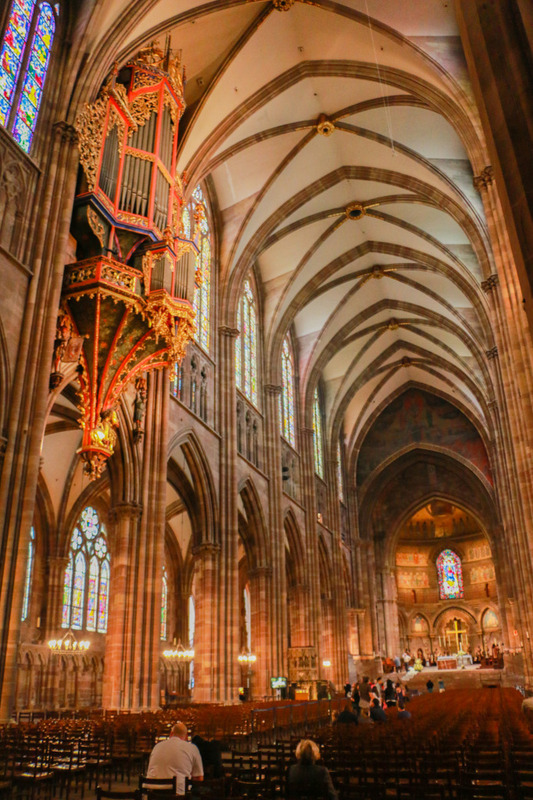 There’s one word to describe the cathedral and that is impressive! 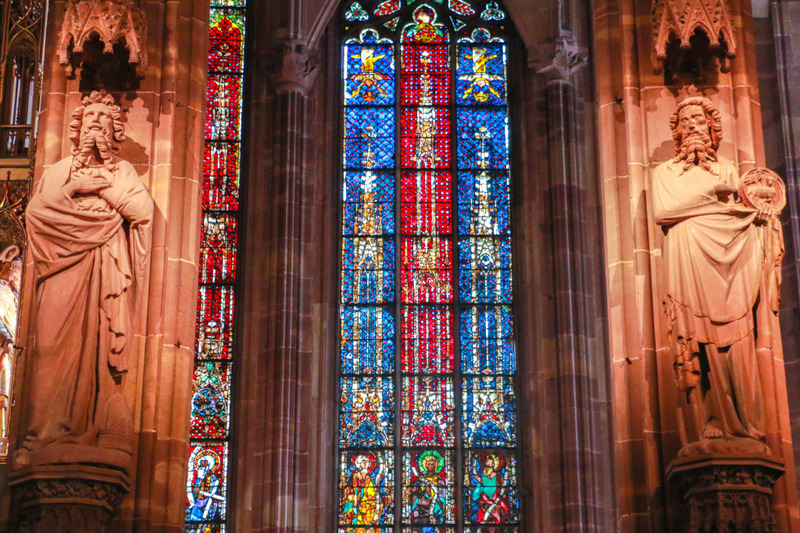 At 150 m high, it’s one of the biggest we’ve seen and a masterpiece of gothic architecture. We spent around two hours in the cathedral. First by going inside and exploring a bit. 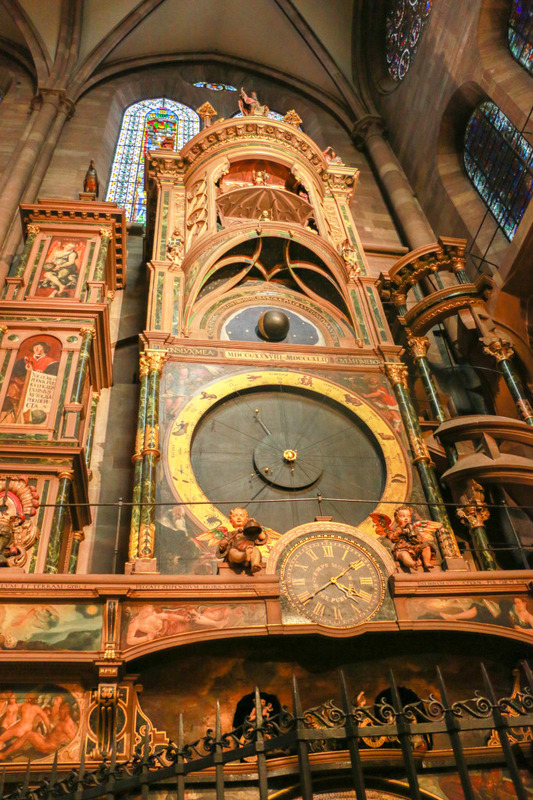 The stained glass windows are massive and the astronomical clock is a very interesting piece. Entrance is free. 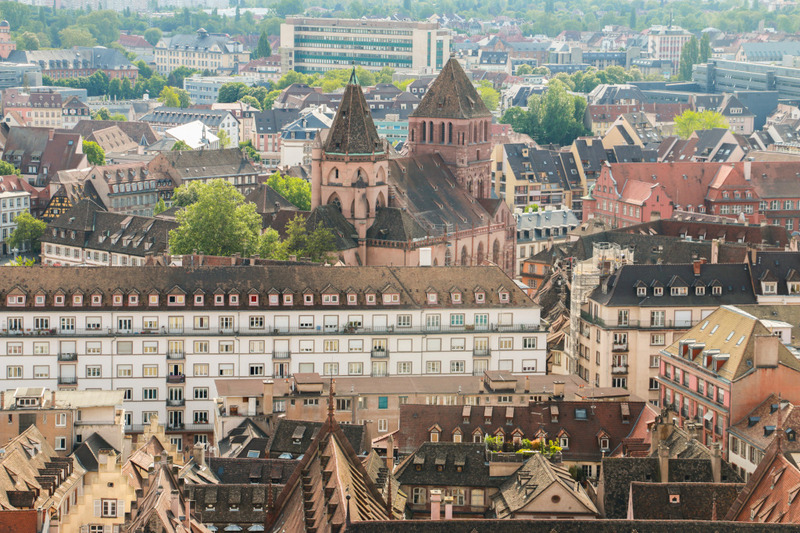 For a small fee, there’s a possibility of going up a little over 300 steps to get a panoramic view of the city. This is totally recommended doing. The views are great! Plus, it was a clear and sunny day. 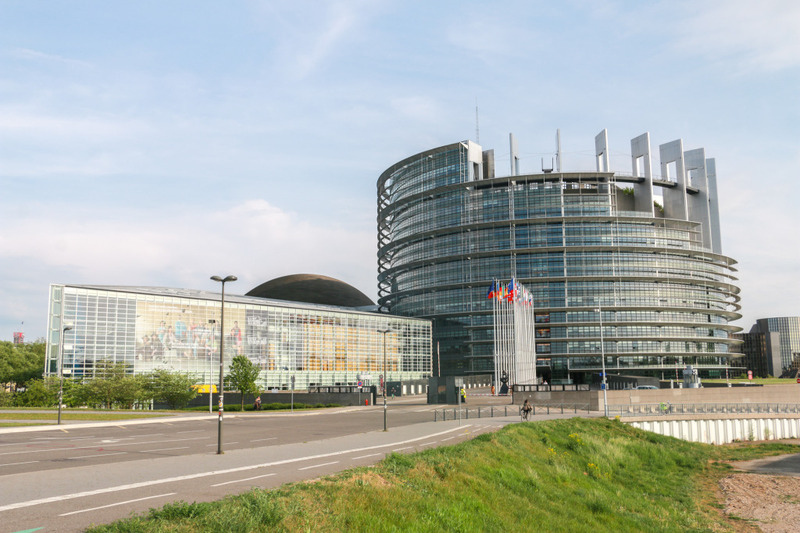 Strasbourg hosts several European institutions, namely it’s where the official seat of the European Parliament is. Most of these institutions are located outside the historical centre, to the north east. 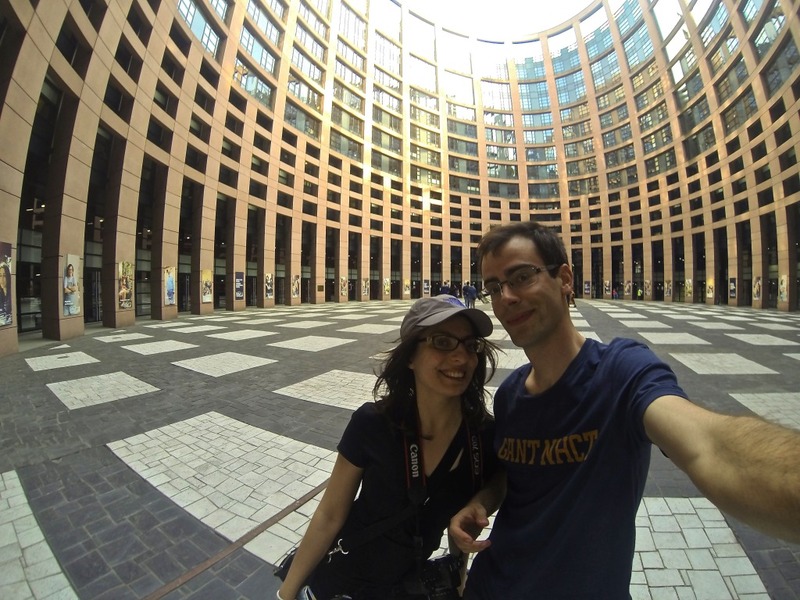 We had decided to go and see the European Parliament not only due to its importance in European politics, but also because it’s a fancy modern building. 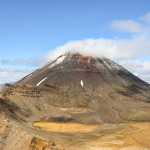 The best way to reach this area is by public transit. 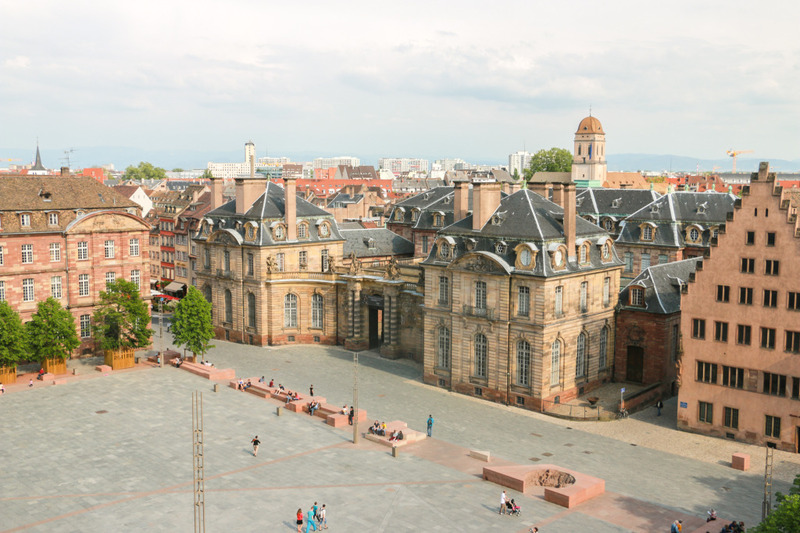 We got there from the historical centre of town using a mix of tram lines B and E, departing from Hôtel de Ville (City Hall) and stopping across the road from where we wanted to go. As you can see by the pictures, it’s a very interesting building, including the inner area. We believe it’s worth the detour. Other buildings include the European council, across the river from the European Parliament, that we didn’t get the chance to visit. 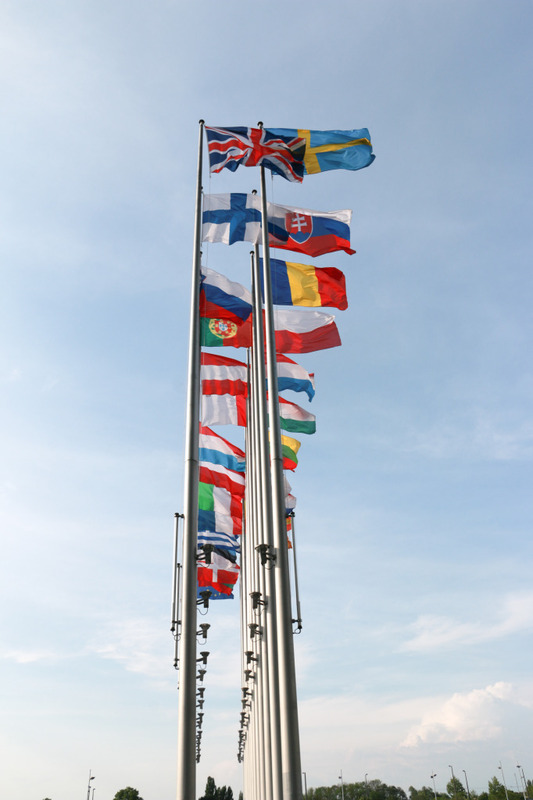 By a mere coincidence during our road trip in central Europe, we passed by the other two European cities with ties to the European Union as an organization – Brussels and Luxembourg. If there’s an entry for that in a list, we’re good and done. We couldn’t leave without trying some local food. 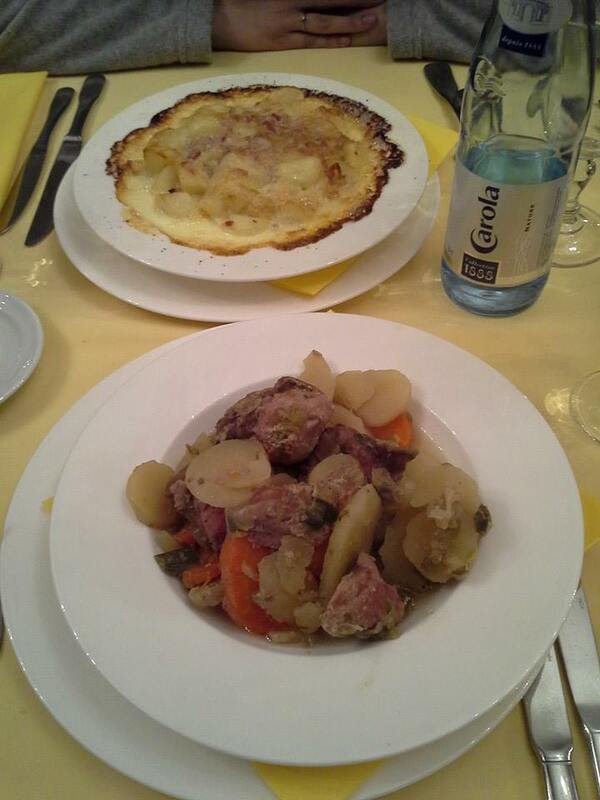 On the picture below there are two typical dishes from the Alsatian region (sorry for the low quality, crappy phone). The upper one is a Tartiflette and the lower one is a Baeckeoffe. 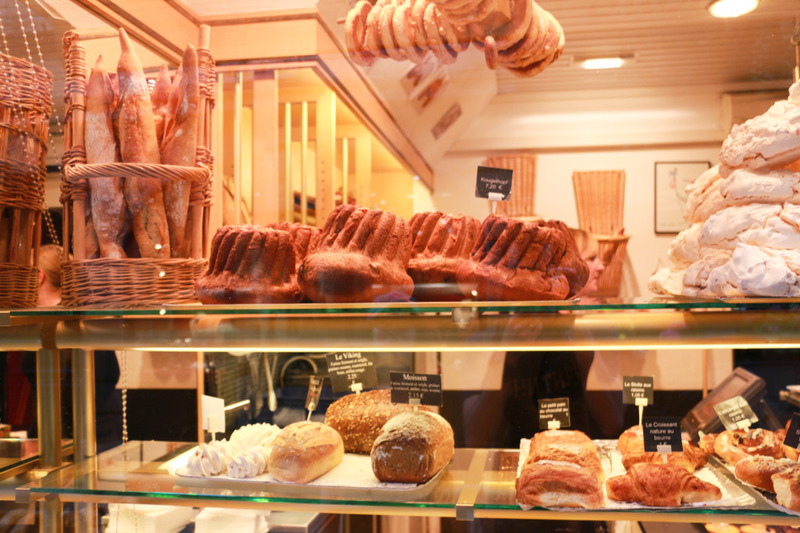 Bonus picture, from a bakery in Strasbourg. 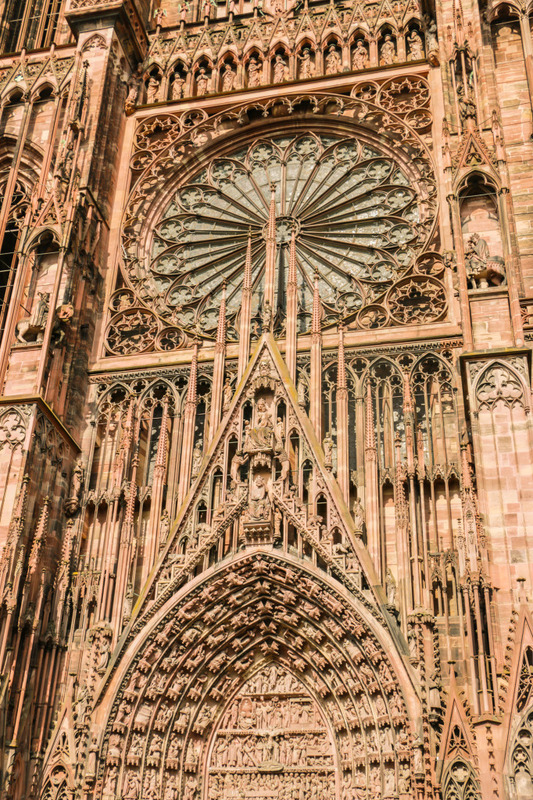 We found our first time in Strasbourg very interesting. A compact town, yet full of interesting things to see and do. We know we missed a few spots, especially outside the historical centre. Maybe on a next trip through France, we’ll give it another go. 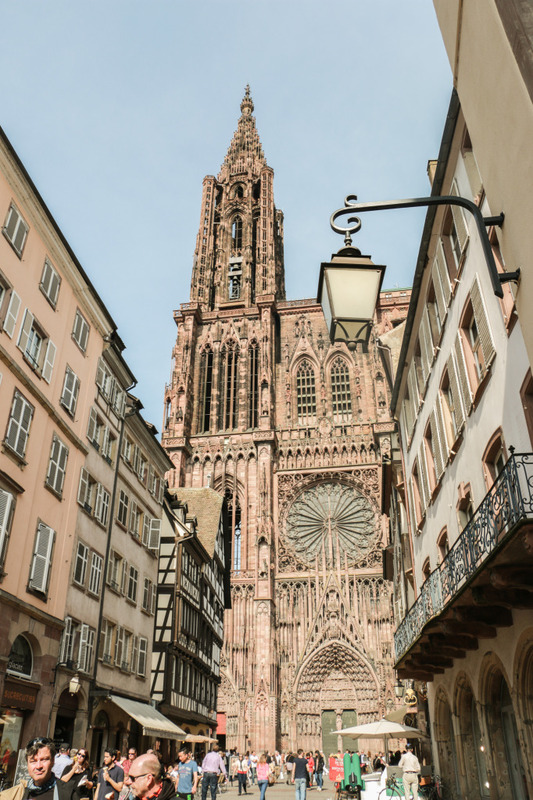 Strasbourg makes a perfect stop, whether it’s for a day or more. 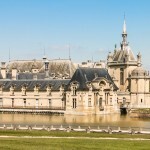 The atmosphere, with great historical buildings, is a pleasure on its own. 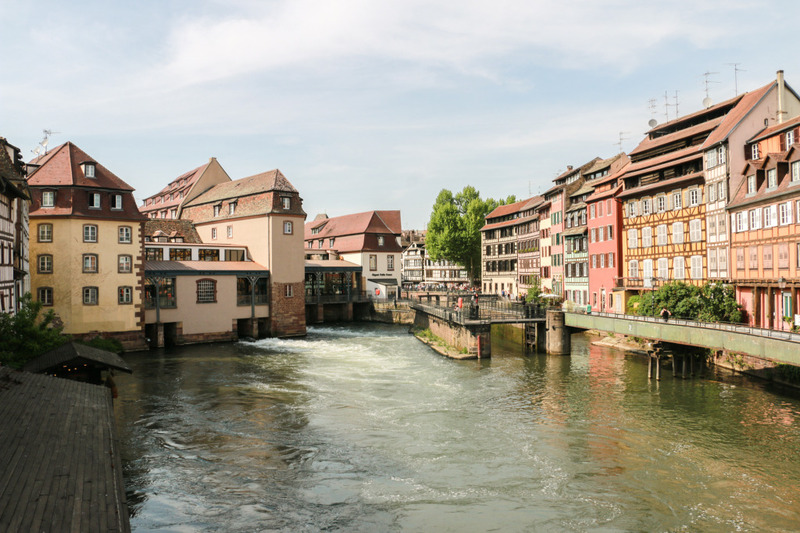 With this, we ended our visit of Strasbourg, our first stop in the Alsatian region. We’ll be writing about our other stops soon, right here in the blog. 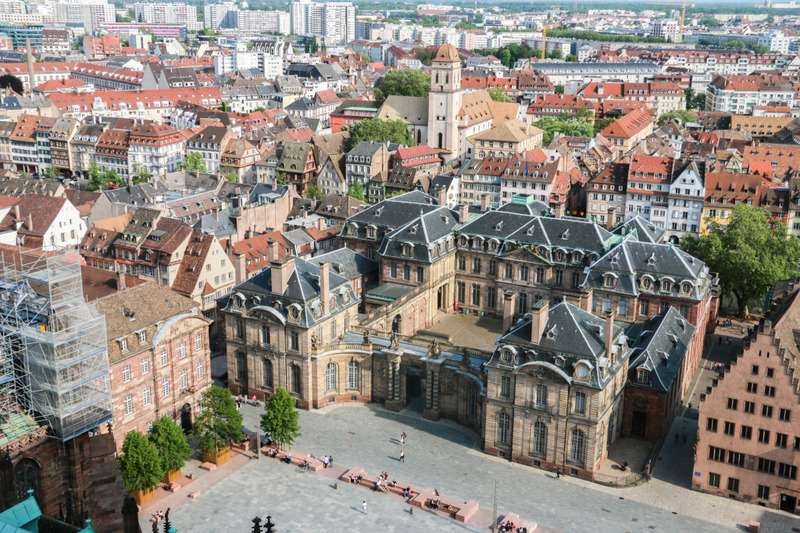 Have you been to Strasbourg? Let us know how it went! We bought a daily tram ticket that we ended up using 4 times, mostly to go a bit further away from the historical center. If you’re in this area, walking is your best option. The city is completely flat and very walkable, with many pedestrian-only streets. Nevertheless, the tram is quite good in terms of value and where it goes.